I’d love to invite you and your friends along for tea and home-made cake and art inspired by Neolithic Wales. 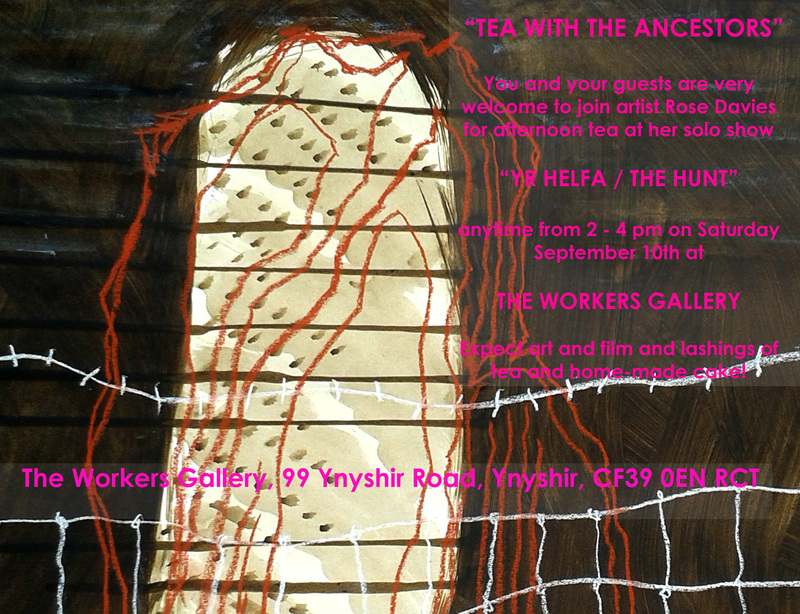 “Yr Helfa / The Hunt” is my very first solo show (September 1st to 24th) in the Workers Gallery. I am exhibiting a series of drawings and original prints I did from ancestral Bronze Age monuments out in the field – mostly muddy fields! It would be lovely to see you at this lovely, family-friendly gallery. I hope you can join me.